Multiple award-winning songwriter, singer and rapper Martin king arthur aka Kofi Kinaata has finally reacted to his snub at this year’s Vodafone ghana Music Awards. 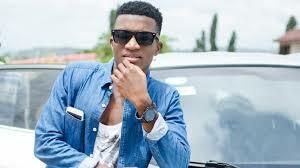 Despite dominating 2018 together with his hits “Malafaka” and “The Whole Show”, Kofi Kinaata was unnoticed in this year’s nominations list. “The Whole Show,” that was predicted to be nominated in at least the songwriting category by critics, was missing once the nominees’ list was proclaimed last Friday. But it appears former High Grade Family label performer wasn’t fazed by the snub – he rather looks motivated and obsessed with music.